For decades, Jaguar has been among the top British luxury vehicle manufacturers in the world. Known for their slick design and precise control, each Jaguar vehicle that leaves their shop is meticulously crafted to meet the high standards of the brand. From extreme climate testing to carefully selecting the materials for your seats, nothing gets past Jaguar’s manufacturing team. So when a Jaguar needs a repair or maintenance service, it should come as no surprise that it requires something more specific to the brand. For it to perform at its best, a shop must follow a specific set of requirements for both repairs and maintenance. 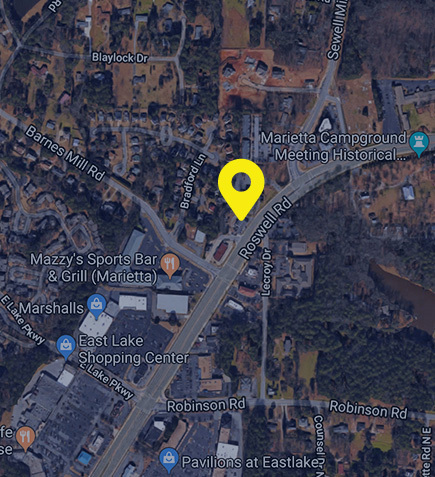 That’s where Rocco’s European Garage in Marietta, Georgia comes in. Our ASE Certified technicians and trained service experts have the brand specific tools, components, and service techniques to properly care for your Jaguar vehicle. So whether your Jaguar has a water leak or suspension problems, know that Rocco’s European Garage will handle it all! At Rocco’s European Garage, we strive to provide you and your Jaguar with the ultimate auto care experience. We believe that a complete visit spans well beyond the garage, and it all starts with our team. When you first step into our shop, you’ll be greeted by one of our professionally trained service experts, who will provide you with the attentive ear that you’d expect from a doctors office. They’ll note the make, model, and current condition of your vehicle, as well as the complaints you have, and provide you with the best and affordable solutions! If those solutions are approved by you, they’ll hand off your vehicle to our technicians, who utilize Jaguar approved tools, components, and service techniques. When our technicians are at work, know that your vehicle is getting the brand specific service you’d expect at a dealership. And once they’re finished, our service experts will give you a step-by-step breakdown of what our technicians worked on, all in a “language” that makes sense to you. At Rocco’s European Garage, we want you to enjoy your Jaguar repair experience. We can’t wait for you to visit.